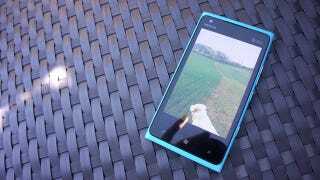 The Best Windows Phone Is Now Crazy Cheap—But Should You Buy It? Good news! Nokia just let us know that the awesome muppet-colored Lumia 900 will now only cost $50. Maybe not as good a deal as zero dollars, but still killer. Wait—what about Windows Phone 8? This is tricky. And you thought Nokia&apos;s new Windows Phone was dirt cheap at $99 to begin with.